Vivo AFT Tool V5.1.21 is a small application for windows computer which allows you to flash Vivo smartphones. It allows you to flash your Vivo device easily in simple steps. 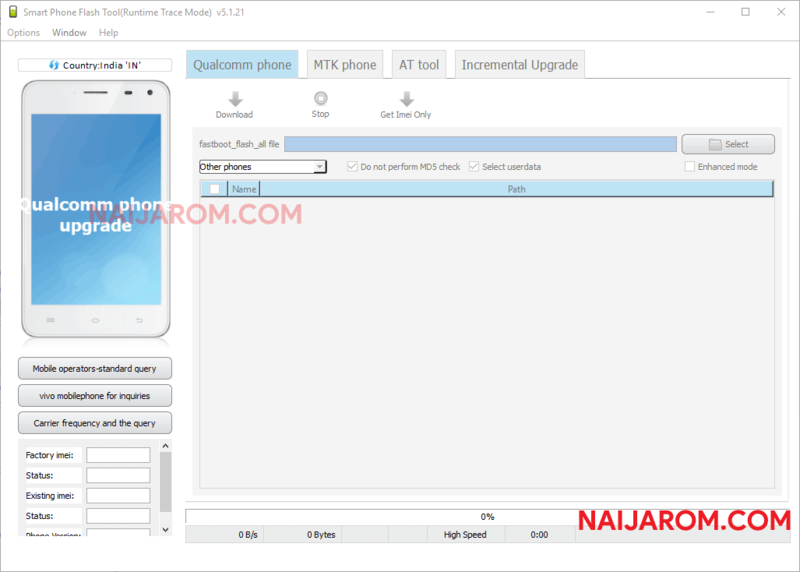 Vivo AFT Tool V5.1.21 supports various Vivo devices running on Qualcomm Chipset and Mediatek Chipset. In order to flash your Vivo smartphone, you may required bat file or scatter file. To be specific, If you wish to flash the stock firmware on Qualcomm smartphone and Tablets, you need to have the Stock Firmware which is having the fastboot_flash_all bat file. You can load the firmware in the tool by clicking on the select button.